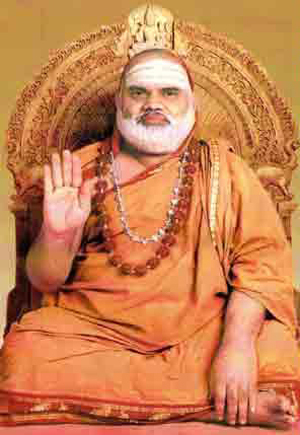 Mangaluru, Apr 11, 2015: As per reliable reports, Sri Bharati Tirtha Mahaswami and Sri Vidhushekara Bharati Swami of Sri Sringeri Sharada Peetam will visit the mutt’s unit in Kotekar near Ullal on April 11. The two seers will take part in various religious activities. They will be accorded an official reception. Satyashankar Bollav, Dharmadhikari of the mutt’s Kotekar unit, told presspersons here that the visit of senior seer Sri Bharati Tirtha Swami to the Kotekar unit, marks the completion of 25 years of his ascension to the Sringeri Sharada Peetam. The senior seer has completed 40 years of Sanyasa Deekshe. Vidhushekara Bharati Swami was coming to Kotekar for the first time after his designation as successor to Sri Bharati Tirtha Swami. M.R. Vasudeva, president of Sankara Pratisthana, said the two seers will be ceremonially welcomed to the Kotekar unit at 10 a.m. After accepting ‘Hore Kanike’ (donations in the form of grain, vegetables, etc. ), the two seers will take part in a Rudra Yaga. Civic reception will be extended to the two seers at 4 p.m. in which elected representatives from Dakshina Kannada and Udupi districts and religious leaders will take part.